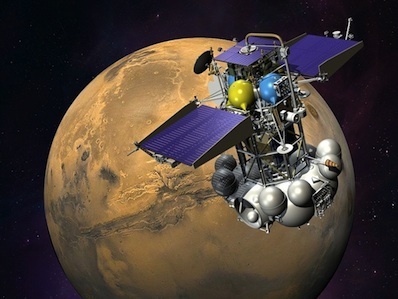 Russia's Phobos-Grunt Mars probe again fell silent Thursday and Friday after encouraging communications signals were detected from the marooned satellite, which is stuck in low Earth orbit after a glitch kept the craft from continuing toward the Red Planet. The European Space Agency's tracking station in Perth, Australia, heard radio signals from the orbiting spacecraft Tuesday and Wednesday, but more than a half-dozen listening opportunities since then have produced no communications, ESA officials said. The signal acquisition was the first time anyone contacted Phobos-Grunt since shortly after its Nov. 8 launch on a Zenit rocket. Phobos-Grunt was designed to to retrieve samples from the largest moon of Mars and return them to Earth. Fitted with a special feedhorn device to attenuate the power of its signal, the 49-foot dish at Perth received limited telemetry from Phobos-Grunt during both successful passes. ESA passed along the data to NPO Lavochkin, the Russian contractor for the mission. During both successful communications sessions, engineers commanded Phobos-Grunt's transmitter to turn on and off. The Perth station received some information from the spacecraft, including about 400 telemetry "frames" and two-day Doppler data during Wednesday's transmission, which held a more stable link, according to Wolfgang Hell, ESA's service manager for the Phobos-Grunt mission. Controllers uplinked more commands to Phobos-Grunt during a subsequent pass Wednesday, but officials haven't heard from the truck-sized probe since then. "Our Russian colleagues provided a full set of telecommands for us to send up," Hell said. "And Perth station was set to use the same techniques and configurations that worked earlier. But we observed no downlink radio signal from the spacecraft." 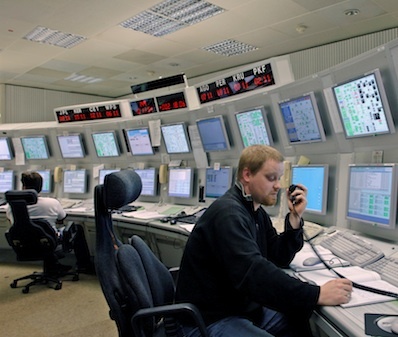 Hell and a team of controllers at the European Space Operations Center in Germany oversee contact efforts through ESTRACK, a network of ground stations around the world, including Perth. "The team here at ESOC will do their utmost to assist the Russians in investigating the situation," said Manfred Warhaut, head of mission operations at ESOC. Officials plan to listen again through Perth on Friday night, then ESA may stand down for the weekend. Phobos-Grunt is circling less than 200 miles above Earth, stranded in a low-altitude orbit following liftoff earlier this month. A rocket pack attacked to the spacecraft was supposed to fire twice to accelerate the probe toward Mars, but neither firing occurred as planned in the hours after launch.